We had an amazing few days, chalet was perfect for our needs. Nicole was an excellent host. Would definitely recommend Chalet Nepomuk and hope to go back some day ourselves! THE VIEW!!!! The Matterhorn was in full view from the balcony and almost every window in the apartment. The place is very clean and well maintained, and Nicole is sooooooo accomodating! She cooked us breakfast each morning and even had our bags picked up from the bottom of the hill. Highly recommend staying here! 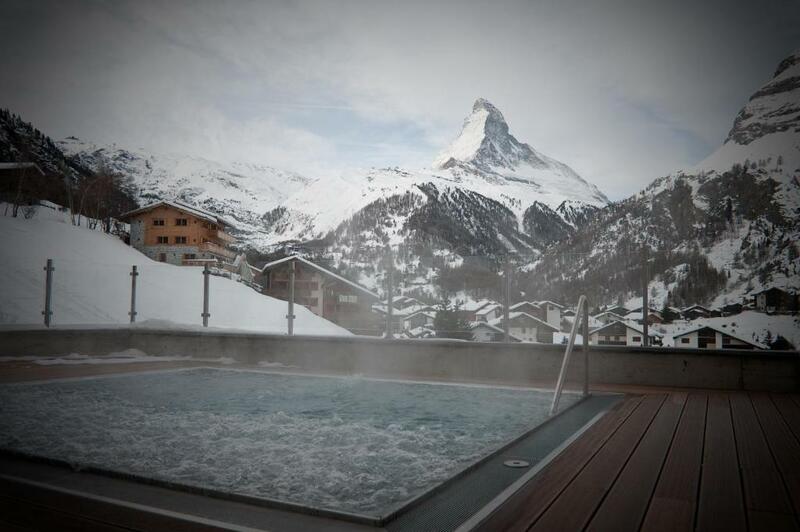 Everything, the perfect view , the nice little pool face to the zermatt, maybe the best view in the town. The house is so cozy , everything is brand new ,clean and spacious. Another highlight is the perfect view , no matter the 3 rooms , the balcony or the swimming pool, you can enjoy the stunning view . I will definitely reconsider this to my FDs and come back next time. Travelling in a big group Chalet Nepomuk was perfect for us. Large rooms, amazing spa, beautiful views and outstanding service from Nicole. Nothing was too much trouble and Nicole was so friendly and welcoming. The location was great too - only 7mins to the village. We will be back! The view of mattethorn just open your eyes when you wake up. There is a small dipping pool with warm water. We're 6 ppls stayed in 3 bed room apartment, View was amazing, large balcony face to the Matterhorn, jaccizi was bonus, have everything in kitchen, every room have own toilet n shower/bath, everything was very clean, shower gel' shampoo use molton brown are super! The lady who look after us was excellent, thanks for all your help! Taxi from train station around 40chf for 6, for 2 will be 20chf- 15mins walk to town. The most satisfied hotel in Switzerland! Best view of Matthorn! Nice and friendly host. The apartment is quite big and it’s good for 8. 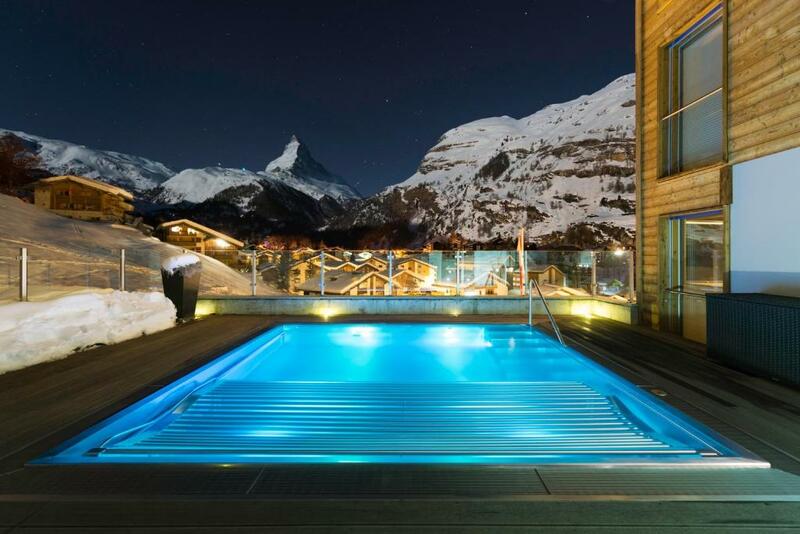 Definitely will chose this hotel again if I came back to Zermatt! Nicole is an excellent host and helps you out with anything you may need! 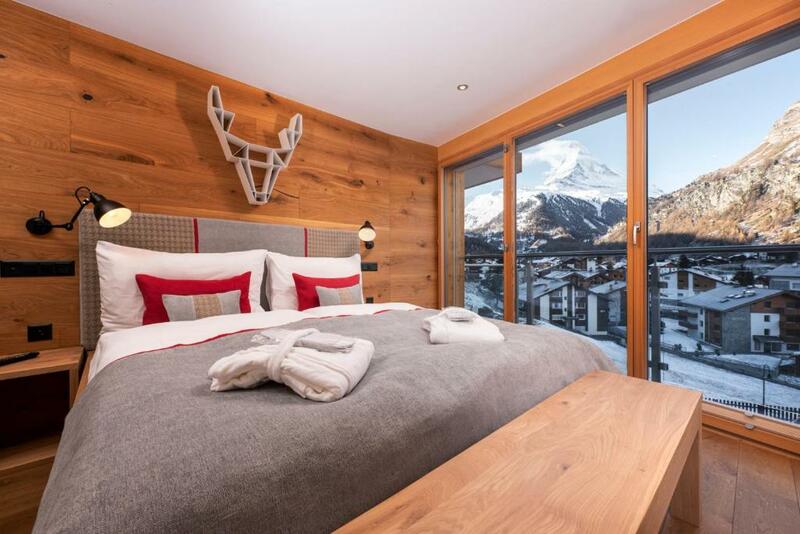 The view from the chalet is outstanding with floor to ceiling windows throughout! Lock in a great price for Chalet Nepomuk – rated 9.9 by recent guests! Chalet Nepomuk This rating is a reflection of how the property compares to the industry standard when it comes to price, facilities and services available. It's based on a self-evaluation by the property. Use this rating to help choose your stay! All apartments come with a fireplace and hardwood floors as well as a flat-screen TV, DVD player, video games and an iPod docking station. A daily cleaning service available for a surcharge. Set in the Winkelmatten area of Zermatt, the chalet is 2,650 feet away from the gondola elevators to Furi. The center of Zermatt is 0.8 mi away and there are trains to Gornergrat or Täsch. The funicular to Sunegga is located 650 feet from the train station. 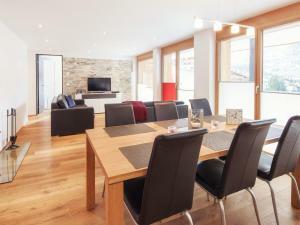 뀐 Located in the top-rated area in Zermatt, this property has an excellent location score of 9.5! When would you like to stay at Chalet Nepomuk? Please note that the room rate is based on 6 guests. Maximum occupancy is 7 guests (see extra beds rates). Please note that the room rate is based on 8 guests. Maximum occupancy is 9 guests (see extra beds rates). 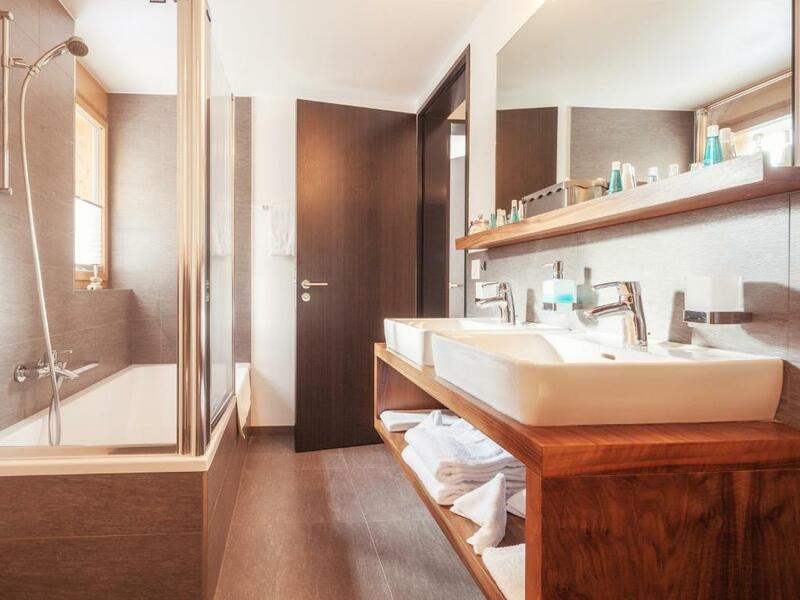 This apartment has a dishwasher, sofa and bathrobe. Our outdoor Jacuzzi (heated) is very special and our guests love it! Especially the perfect view to the Matterhorn! 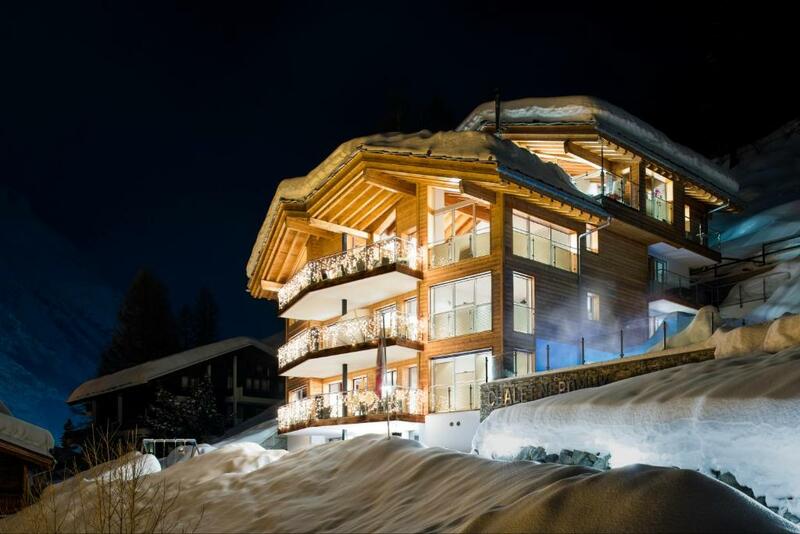 Because we live in the same Chalet, we can garantie you the best service! House Rules Chalet Nepomuk takes special requests – add in the next step! Free! One child from 0 to 4 years stays free of charge when using existing beds. Chalet Nepomuk accepts these cards and reserves the right to temporarily hold an amount prior to arrival. Please note that Zermatt is car-free. Guests can leave their cars in Täsch and use the public transport. Please note that daily cleaning or additional cleanings are available at a surcharge. 1 free cleaning is offered for stays of at least 7 nights. Please inform Chalet Nepomuk of your expected arrival time in advance. You can use the Special Requests box when booking, or contact the property directly using the contact details in your confirmation. We must walk to high level before we arrive at our chalet. It was very high especially for my parents who was old. Pillow was very low but I think the hotel in Switzerland are the same. The taxi ride to chalet (outside of arrival and pick up which is covered in the price) is quite expensive 30-35 CHF. However you can always walk (bit of a hike but the view of the Matterhorn is amazing) or take the bus! Excellent setup of the facility. Amazing spa, jacuzzi and even a well setup kitchen. Nicole- the host/owner is amazing and super helpful. 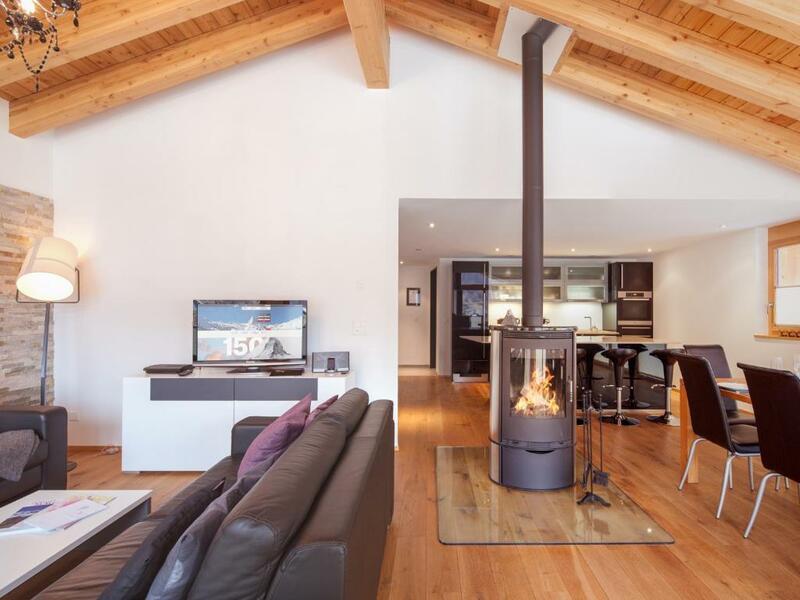 Clean modern high spec chalet, not much more one can require. Even located close to the bus to the lift. 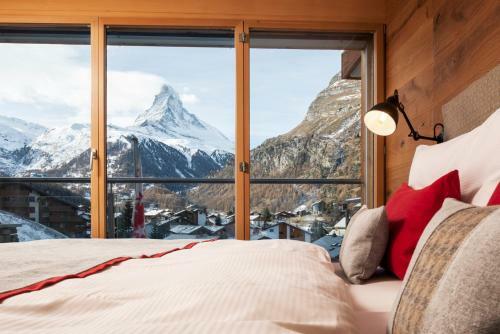 Chalet has the best view of the Matterhorn. Nicole, the host is amazing. My family enjoyed our stay thoroughly! Nothing, just you need a bit strength to walk up the slope but I didn't consider that's a disadvantage.